It's been a while since I did a monthly staff newsletter! I'll combine all the work we did over the last 3 months into one single "2019 Q1" post instead. Over the first quarter of 2019, the team placed 156,245 blocks and destroyed 70,664 blocks. In early January, we hit 5 million blocks placed over the course of the MCAlagaesa 2 project. This is quite an achievement since every single block had to be placed by hand - WorldEdit isn't counted in that statistic! Builder of the "month" goes to DefJam, placing 43,611 blocks over the 3 month period. Terraformer of the "month" goes to Nikradical for placing 10,164 blocks over the same period. We're happy to announce 4 new members who have joined the team! A huge welcome to MissWalrus, OcelotEmpire, Shadow204 and Hessean. Congratulations to AoWork, who was promoted to the rank of Artisan Builder for a total blocks-placed count of 25,994. We're sad to say goodbye to terraformer 80Active. Thanks for all your help! Click here to view the spreadsheet for Q1 2019. 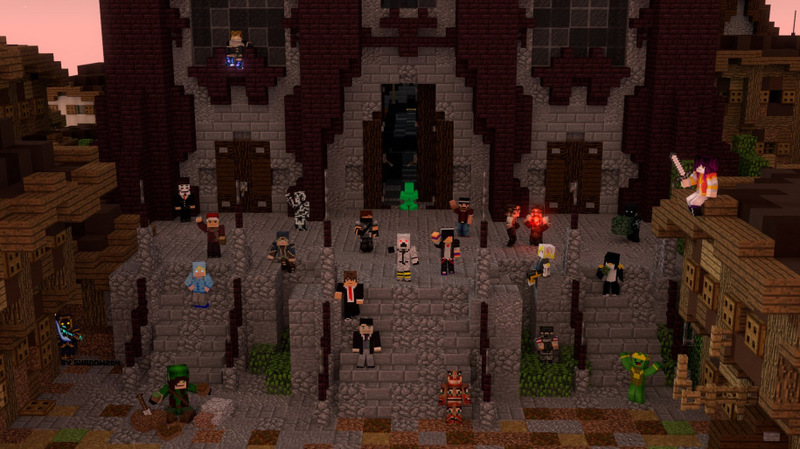 The fantastic new staff team render has been created by our newest member of the artwork and design team, Shadow204. You're always welcome to try your hand at creating a staff team artwork to be featured in next month's Staff Newsletter! When you create a character in Arcaena, you'll be able to select a skin from a list of quality skins that we've curated just for the game. During the development phase, we'd like to give you the opportunity to design one or more skins that will be available to choose! If you'd love to contribute a skin to see your own work in the game, use one of the templates below. Arcaena skins are slightly different from Minecraft skins. 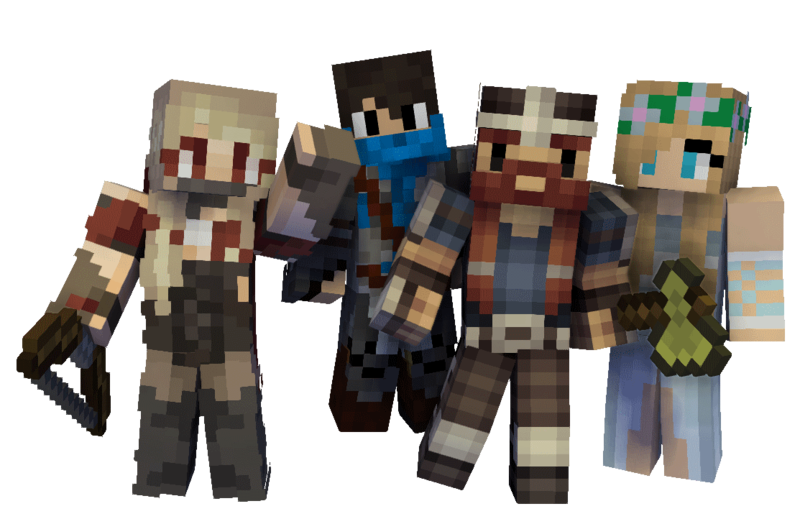 They're 128 pixels in width and height, whereas default Minecraft skins are 64 pixels in both dimensions. Use your favourite image editing software (e.g. Adobe Photoshop, Paint.NET, MS Paint). Have fun working on your designs. 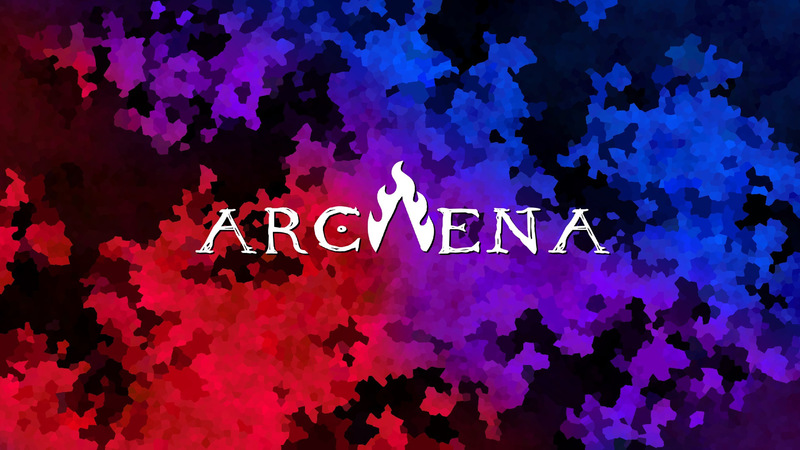 Submissions will be made via the https://www.arcaena.com/skins page. Submissions are currently disabled, however, we will notify you when you can submit your work. Remember that submitting a skin is no guarantee that it will be used in the game. It should be of high quality and feature a medieval human, elf, dwarf or Urgal.